There's been a lot of news surrounding Bethesda's new multiplayer Fallout game lately, most of it bad. Between rumors of a class-action lawsuit and accusations of false advertising, the publisher has had its hands full dealing with fan response. A new story about the people in the game, however, is one of the more disturbing things to come out from the game. A Fallout 76 player named AJ tweeted out a video last night tagging Bethesda support showing harassment they received by players. In the video, AJ is confronted by a group of other players lead by a user named NathanTheHicc. Nathan's beef, judging from his voice chat comments, is that he was there to kill AJ because he's gay. The voice chat in Fallout 76 is meant to work via proximity. That is, voice chat is always on if someone is talking, and you hear it if you're close enough to them. When NathanTheHicc met with AJ and his friends earlier to ask for a Disease Cure item, one of AJ's friends commented that Nathan's outfit or character was cute. After an aggressively homophobic remark, Nathan disappeared. He reappeared later with friends, calling themselves "The Gay Eliminators," to kill AJ. Player Vs. Player, or PVP, in the game is also a little strange compared to most games of its ilk. After a certain level, players can opt into PVP using a toggle in the options, but the screen warns that players who opt out can still be killed by other players. If you opt out of PVP, it simply means that an attacker does minimal damage to you, meaning anyone intentionally trying to kill you would have to sit there and try for a while. Presumably, this method is to discourage grouping in big area-of-effect attacks while not letting players be killed if they don't want to be. This did not seem to deter NathanTheHicc, who encircled AJ with his group and proceeded to yell homophobic slurs and insults over the voice chat while doing infinitesimal damage. AJ figured they would eventually just get bored and leave, but they stuck around until AJ's character was killed, prompting him to change servers. Because there is no in-game report function, AJ took to Twitter with a recording of the incident. Bethesda's Twitter account replied, sending him to a web-based report site, but the site didn't work. In order to file a report, you need to upload video evidence, which AJ had. The problem is the site didn't accept any video files. "The tweet was forwarded to some community managers for the game and they were very kind and helpful," AJ told Eurogamer. "We were given a link to report the players but had issues with it. The site asked for a video file of the incident but the accepted file types weren't video files. So we couldn't send one. For me, the page would not even load. It seems very difficult to report players." NathanTheHicc also uploaded video of the interaction to his YouTube channel and titled the video "Cleansing of the queers." When Eurogamer contacted Nathan, the apparent high school senior was more or less unrepentant. "My version of the incident is more or less the same as the public has taken it, the only differences being the fact that I don't hate gay people. It was just a late night of having fun and after the first encounter (seen on my channel) we felt it would be fun to offend them somehow. You can call that evil but I think it's just playful immaturity. I do not regret the incident. I will not apologize given the opportunity. I don't plan on doing anything like this in the future but to be fair I didn't plan the initial incident, I just found them and decided to go through with it." I have a number of thoughts about this but it's not easy to articulate them. If there are indeed people who think like NathanTheHicc does, that there's not actually anything wrong with this, then I'm pretty much wordless at the thought of it existing in normal society. A high school senior should know better, yeah, but a person should be able to show more empathy than this. I'm also kind of aghast at how hard it seems to be to report a player in the game. 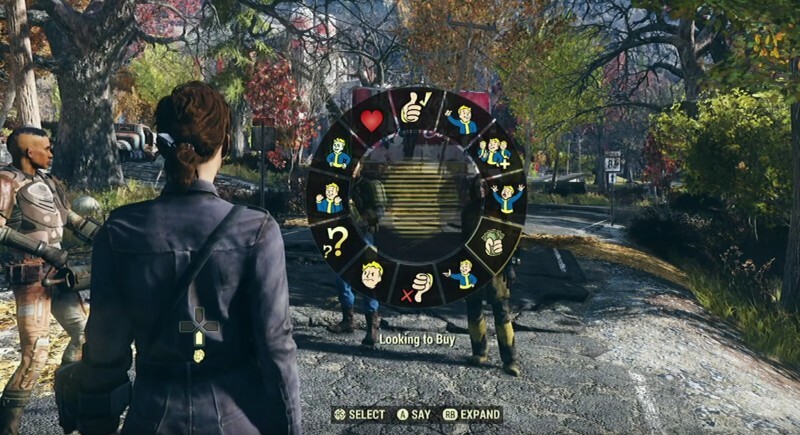 Bethesda did not think a game where voice chat could not be turned off would warrant an in-game reporting system? They didn't think having the web page tested beforehand would be important? It kind of makes me remember why I play my games without voice chat.